Super fun food for kids. This is a new slice version on the old s’mores classic is great for a picnics, outdoor parties and lunch boxes. 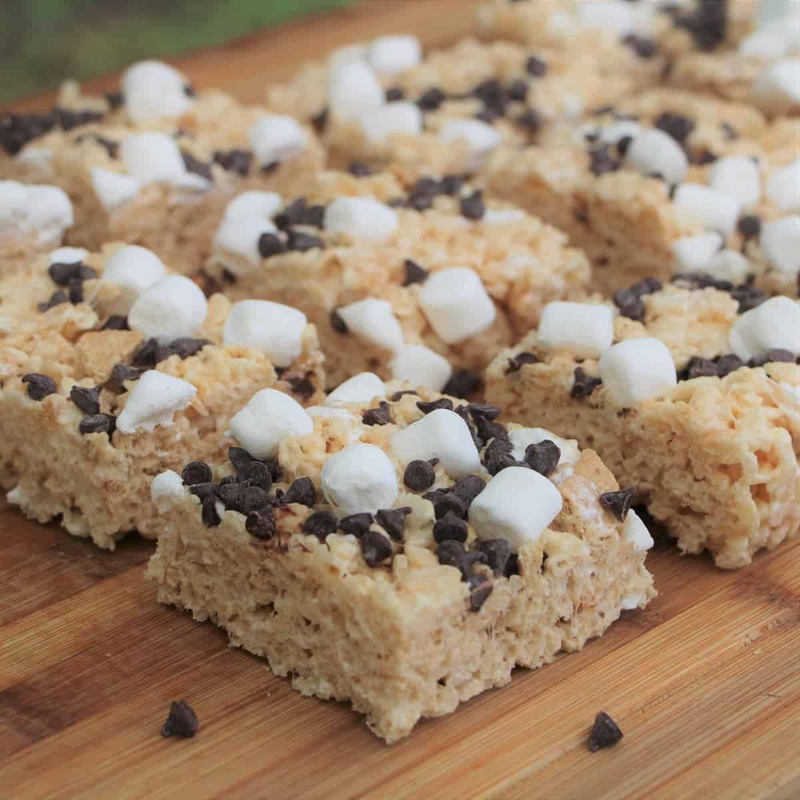 The recipe can be stepped up by exchanging the rice krispies with coco puffs for an extra chocolate kick. 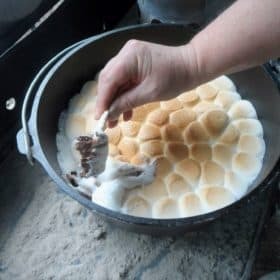 Great option when you don’t have time, weather, or facilities to make s’mores while camping. In a large pot melt the butter over a low heat. Add the rice krispies and Graham crackers broken into smaller pieces. Stir until well coated. Add 1 cup of the miniature marshmallows. Gently stir until combined. Prepare a flat tray with butter, backing paper and/or cooking spray. Using a buttered spatula evenly press mixture into into the prepared tray. Sprinkle top with the remaining 1/2 cup miniature marshmallows and chocolate chips. Lightly press into cereal mixture. Cool the slice until set. Cut into 2-inch (5cm) squares. Best if served the same day.